Breast Augmentation Recovery: What Can I Expect? Deciding to undergo a breast augmentation procedure can be a major decision with life-changing consequences. After all, you’re not just changing the shape of your body; you’re changing the way you feel about yourself. You’ll suddenly carry yourself with more confidence; you won’t feel so self-conscious about the size or appearance of your breasts. You may even start wearing those shirts and tank tops you’ve always been avoiding! But before you undergo your surgery, it’s important to understand what you should expect from your breast augmentation recovery. Board-certified plastic surgeon, Dr. Rudy Coscia – with practices in Sacramento and Roseville in California – works with his patients to ensure they fully understand how to recover from their breast augmentation procedure so that they can fully enjoy their results. Take time off from work: Most patients take approximately 1 week off from work. If you have a physically demanding job, Dr. Coscia recommends potentially taking more time off, as your activity should be limited in the first few weeks after your breast augmentation. Be diligent with your surgical bra: After your procedure, you should expect to wear a special surgical bra for the next six weeks. This bra is designed to help your implants settle appropriately within your breasts, so you can enjoy optimal results. Your surgical bra can also help reduce swelling associated with the procedure. Slowly introduce exercise: You should avoid doing any kind of physical exercise for the first two weeks after your procedure. After this recovery period, you can start performing workout routines that don’t involve the upper body (such as walking and jogging). Weight lifting, pushups, and other strenuous activities should be avoided within the first 6 weeks of your recovery. Want to know more about what you should expect from your breast augmentation recovery? Schedule a consultation with Dr. Coscia at one of his two practices in Sacramento and Roseville. Dr. Coscia can help you understand what to expect from the procedure, including how you can optimize your recovery for the best results possible. Call Dr. Coscia to learn more: Sacramento 916-929-1833 or Roseville 916-773-5559. How Long Does It Take to Recover From a Breast Lift? 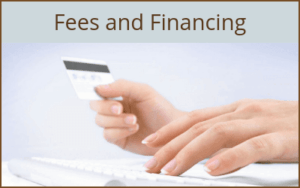 How Can I Prepare for My Breast Augmentation? Can I Breastfeed After a Breast Augmentation? 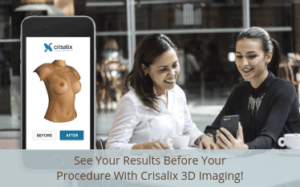 What Benefits Can You Enjoy With Our Crisalix 3D Imaging?